Buying Guide : Locks – How Can We Help? Despite and endless range of bike locks, buying the right lock for you is far more simple than you think, and there are lots of guidelines and tips which can help along the way. What Makes A Decent Lock? It can seem a bit of a minefield knowing what qualities a good lock has. Does heavier mean stronger?, How much do I need to spend?, What shape and style will work best for my bike?. All these questions and more can cause confusion, but Bikmo are here to help. By covering the 3 main lock types and the benefits of each, hopefully we can point you in the right direction. Cable locks also cover the widest budget, ranging from super £5 locks, right through to ultra-secure heavy duty locks that are resistant to most cutting tools. See our guide on cable locks here. The weakest link will always be the padlock, so most high quality chain locks come with a very robust padlock, designed to resist lock-picking and impact damage. Generally starting at a higher price point than U-locks and cable locks, chain locks combine the flexibility and the robust reliability of both, making it a win-win decision. most higher security rated locks use key release. U-locks will almost always use a key system due to the design of the lock. Chain locks are dependant on the padlock supplied or chosen, so this boils down to individual choice. Cable locks will often come with a choice; similar models with a similar security level but one key-operated, and the other combination operated. Both systems have their strengths and weaknesses, but are still very much suitable and up to the job if Sold Secure approved. Whilst some key locks can be vulnerable to lock-picking, this is generally not as much of an issue with modern locks, and with a single point of access to internal mechanisms, it restricts how a thief can break into it. Combination locks tend to be quicker to lock and unlock, as they negate the need to dig the key out of a bag. However, because the mechanism is more exposed than a key system, it can be vulnerable to impact damage, should a thief strike the mechanism repeatedly with a hard object. See our How To Lock Your Bike post to learn how to prevent this from happening. If you’re frequently securing your bike in a public space, it’s essential to purchase the most secure lock you possibly can with your available budget. Saving a few pounds on a lock may have some nasty repercussions later on, should the worst happen. It’s advised to spend as much as you reasonably can on a lock; we recommend a Sold Secure Gold lock. This ensures you get one that provides suitable protection, and is robust enough to deter criminals. A £10 budget lock won’t be suitable for locking a £1000 bike in the city centre, as it doesn’t provide adequate protection. Budget locks are designed as more of a visual deterrent to stop an impulse thief, who may seize the opportunity to take an unlocked bike. One factor people often don’t consider is insurance. In the event your bike has been stolen from a public place, if the lock you used is deemed to have been inappropriate for the circumstances and value of your bike, it may invalidate any claim you attempt to make. To ensure the lock you’re buying is suitable for purpose, one of the best resources you can use is the Sold Secure Approved Product Search. Sold Secure is recognised as one of the best testing and certification authorities for locks, and with an extensive number of products tested, you’re sure to find a suitable lock. 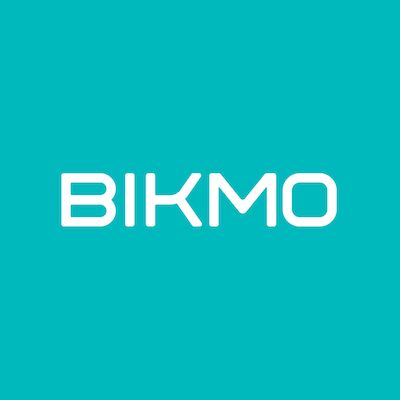 To check out the requirements of your Bikmo policy, with the bike value covered for each lock rating, we provide detailed information about Sold Secure here. To see which locks have been approved and their respective ratings, try out the Sold Secure Approved Product Search.